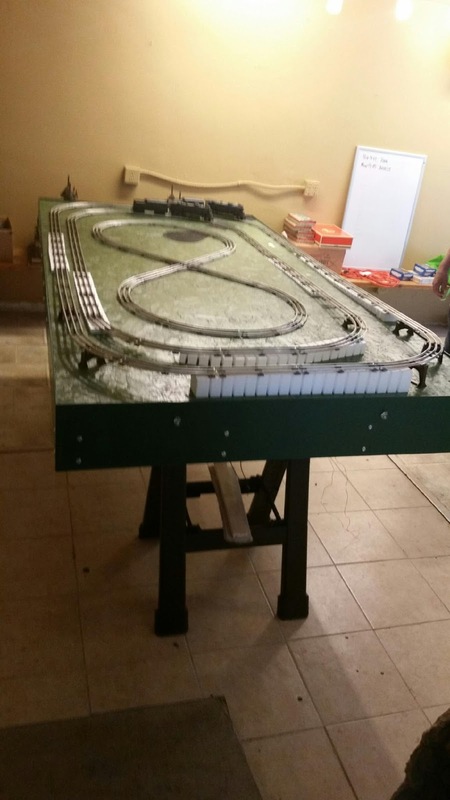 This layout debuted, sporting a different track plan, for a week at the Dixie Regional Rehab Center late last year. 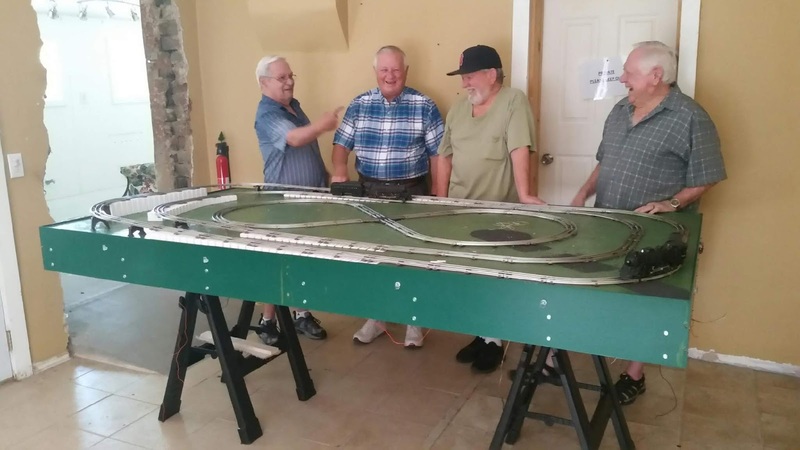 Members of the Lionel group (Al Thorne, Terry Schramm, Bob Mallory, Victor Lorch, Jim Clark, and Dan Mangiarcina) have begun work to update the layout for simplified operation. Their first steps are shown below.